Undertaking a data migration can be overwhelming without a clearly defined, proven path to success for any organization. Systemware’s phased approach provides comprehensive, end-to-end expertise to ensure nothing gets missed and businesses experience no negative impacts from the conversion process. 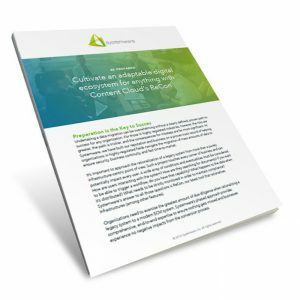 In this Product Paper, we have broken down legacy rationalization progression into 10 steps, divided into three distinct phases: Ready, Set, and Go! Our customers realize the full benefits of a proven strategy to rationalize legacy systems with Systemware Content Cloud. Download the Recon Product Sheet today to learn more about modernizing your content management systems.